Picture a stage in a tiny storefront that used to offer bargain prices on furniture. In front of it sits an audience of 60 individuals, eager to see what journey awaits them. As anticipation reaches its apex, a team of seasoned improvisers run on stage, and the adventure begins. 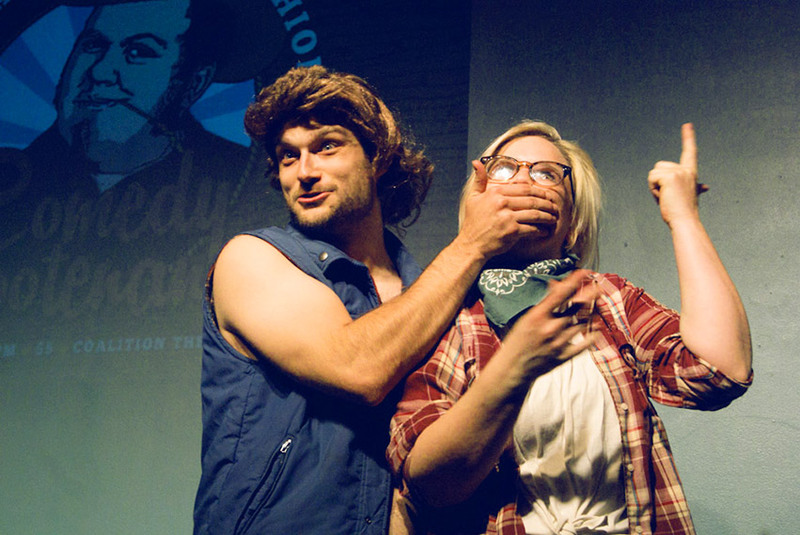 Long-form improvisational comedy is unusual, but the Richmond Comedy Coalition have spent years developing their own version of it, eventually giving it a permanent home in the form of the Coalition Theater. Richmond is all the more prosperous as a result. In 2009, the theater that hosted ComedySportz had just closed. The loss of one of the most beloved local venues for the form made this era a sad time for long-form improv in Richmond, but the appetite for this creative outlet never diminished. The collective enthusiasm of David Pijor, Katie Holcomb, Matt Newman and Aaron Grant pushed them towards new endeavors. Although their former improv home had ceased to exist, they were ready to create something of their own. “We started out as comedy nomads. We were free to do what we wanted with our insane ideas. This is liberating but also harder to accomplish,” recalls Grant. “We decided to call ourselves The Richmond Comedy Coalition as a way of developing an umbrella for all of our projects to exist under. It also sounds a bit more legit,” Pijor says. Early performances took place at Art6, in the heart of the downtown Arts District. “We were at the mercy of whatever art exhibit was displayed,” Grant mentions. “In our first year, there were some pretty interesting pieces on display. My favorite would be giant pieces of cardboard formed into what looked like hobo cocoons, hovering from the ceiling over the audience’s heads.” These early performances created sparks of excitement for their new endeavor. “[By] our third performance, our audience had easily tripled or quadrupled in size. I remember looking around and wondering what had changed,” Pijor says. One possibility is that Richmond audiences were beginning to discover the beauty of long-form improvisational comedy. Coalition improviser and instructor Jim Zarling explains it this way: “Long form improv, when you’re doing it great, it is unbelievable. You make such strong emotional connections with the people you’re on stage with. You’re all seeing the same things, and you can’t even explain it afterwards.” The bonds created during experiences like this unite all of the Coalition’s performers, from the founders to the most recent initiates. “Before we start each show, we take a moment to look each other in the eyes, and genuinely say, ‘I’ve got your back’,” explains performer/educator Summer McCarley. “I’ve been performing with some of these people for almost four years now, and I feel like that statement holds true in and out of shows. We can play any way we want, from pretending to be a pissed off tween to a billionaire cheesecake company heir to a rotting jack-o-lantern and everyone around you will be like, ‘OK, that’s this character, let’s party.’ It doesn’t matter the height, weight, age, race, or gender, you can play any character you want. And that’s a super fun, liberating experience.” The results of this approach are fueled by deep commitment to the performance, which enriches the humor and draws comedy-loving audiences from all walks of life–many of whom are eventually inspired to become performers themselves. After some time putting on performances at Art6, the Coalition eventually moved their performances to Gallery 5. “It seemed to work towards our advantage,” Newman says. “Amanda Robinson allowed us to have two nights a month there. With that residency, we began developing some of the events that we have become known for.” One of the many events that the Coalition began at this time was Richmond Famous, an evening focused on a Richmonder of some repute. The subject at hand discusses themselves and their endeavors, followed by an improv performance. Guests have included Nathaniel Rappole (Gull), Andrew Cothern (RVA Playlist), GayRVA founder Kevin Clay, the group behind WRIR’s The Total Football Show, Jennifer Lemons (The Check Out Girl), and many others. One of the most incredible moments in the Coalition’s history occurred when Marc Cheatham of The Cheats Movement proposed to his girlfriend during his own Richmond Famous event. The Coalition’s reputation eventually extended beyond Richmond. “[People] felt that spaces for this [comedic form] were long dormant,” Newman says. “To see us working to create that encouraged them to be involved.” Word getting around the state eventually attracted the attention of Charlottesville comedian Jim Zarling. “I had been doing improv in Charlottesville since 2003, and really didn’t enjoy it,” Zarling says. “I saw a RCC show and really enjoyed their approach. When auditions were announced, it was a real no-brainer.” Zarling is one of many that have gone on to become teachers and coaches through the infrastructure that the Coalition has developed. As their popularity continued to grow, the Coalition began to look towards the future and a way to obtain a space of their own. “We were pretty much utilizing whatever space we could get our hands on for classes,” Newman recollects. The group hoped for something better, and soon found it in the space at 8 W. Broad St. Once they signed a lease, they launched a successful crowd-funding campaign, bringing in nearly $27,000 to help cover longterm costs. “We were one of the first improv theaters to generate that much revenue through a crowdsourcing campaign and it is still unbelievable to us,” Newman says. “We did spend a great deal of time to build a reputation around the city, and that assisted in garnering that support, but none of us could have possibly imagined that enormous of an outpour.” This success has continued, and the Coalition Theater recently celebrated its one-year anniversary. For a glimpse at the Coalition’s future, one place to look is the recently created monthly live late-night talk show RVA Tonight with Beau Cribbs. 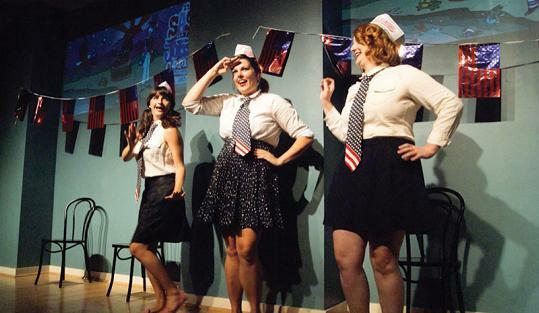 The show’s more structured format gives the group a chance to move away from purely improvisational performances into pre-written sketch comedy. “We tailor the program towards having monologues, commercials, bits and what have you, but to do an hour of sketch comedy would just be so incredible,” Newman enthuses. 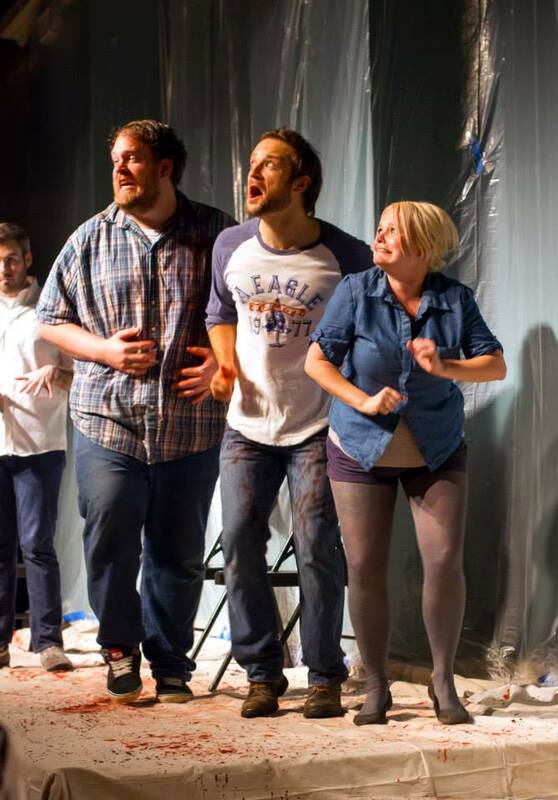 “We have created this really great space for long-form improv and I think there is still a lot we can do within that train of thought, but we would love to move further towards sketch comedy. Encourage our students, as well as ourselves, to write with that in mind,” Pijor says. The evolution of Richmond Comedy Coalition over the past five years has involved quite a few different phases. 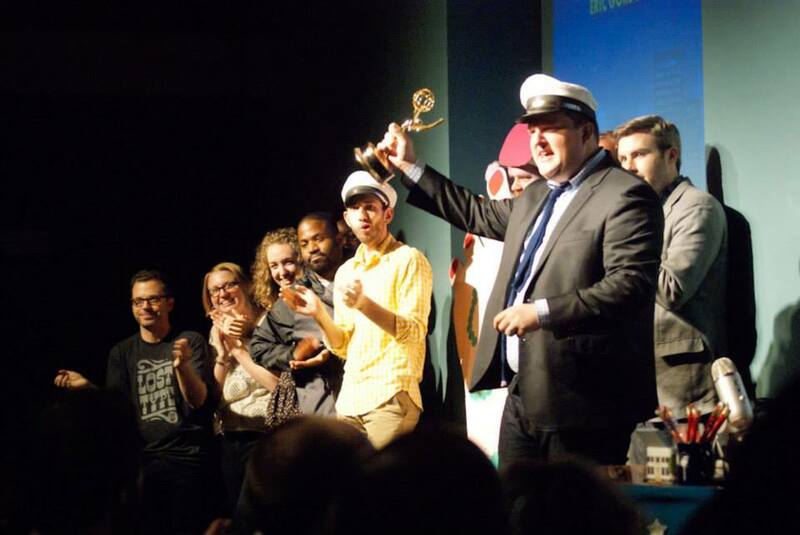 Beginning with a core group of individuals cultivating their own space for a particular brand of performance that they loved, the spirit of creative discovery that fuels improv comedy in general and the Coalition in particular has helped propel the group to achieve every goal they’ve set for themselves thus far. “When I look back to five years ago when we started this whole thing and reflect, it seems so crazy to me,” Newman says. “It makes me even more excited as to where the next five years will have in store for all of us.” One thing we can all be sure of–the exuberant performing spirit and abundance of laughs on display will continue to result in Coalition performances that exceed all expectations. This article is taken from the Winter 2014/2015 print edition of RVA Magazine, out now! Look for copies available for free at your favorite local Richmond businesses. To read a digital version of the full issue, click here. A local Halloween comedy tradition carries on bigger and better than ever this year, as Coalition Theater presents Nightmare On Broad Street 2, a three-day comedy/horror event that begins tonight and lasts through Saturday, November 1. This Halloween-themed comedy weekend will mix the latest editions of longtime Coalition favorites with brand new events, all guaranteed to have you screaming… with laughter! The Richmond Comedy Coalition is holding a truly bizarre and unique event tonight. Spacebomb, that homegrown label/studio/performance ensemble founded right here in RVA by Matthew E. White, has established itself over the past couple of years as a venue for unconventional creativity and talented, original American songcraft. This is truer than ever in the case of the latest Spacebomb Records artist, Grandma Sparrow.